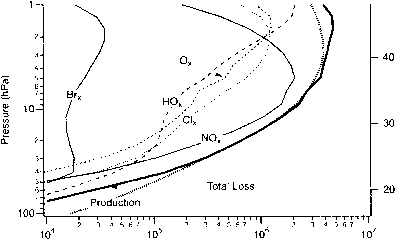 Figure 3.6 Contours of annually averaged (a) O, loss rate (in KF molecules em 3 s ') and (b) O, lifetime with respect to loss (1//.) (in days). 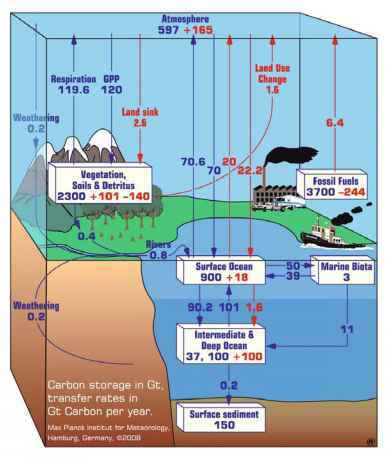 These calculations are from the Goddard two-dimensional climatologieal circulation model . P,; and L[OJ are equal when averaged over 24 h; the system is therefore in the diurnal steady state. Above ~2 hPa, the lifetime of O, is much less than a day, and instantaneous production and loss of O, can be considered equal throughout the day; the system is therefore in photochemical steady state.